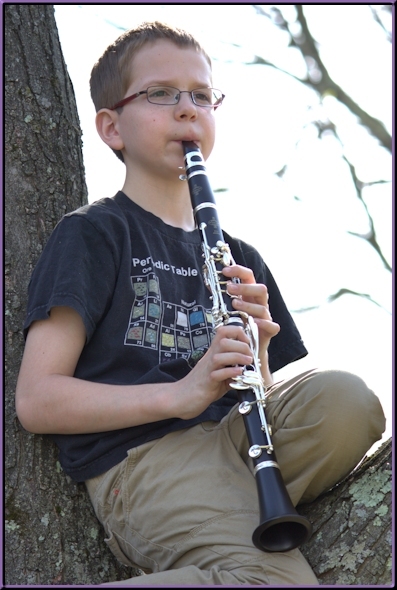 Steven, playing clarinet while sitting in his favorite tree. I’ve been bragging on Facebook about my daughter a lot lately, so today it’s my son’s turn in the spotlight. He’s very bright, a little quirky, and he waves the geek flag very proudly. He’s a mostly straight-A student, who plays the clarinet, has made a point to get over the feeling of stage fright because he loves dancing, singing and acting, and he can go head-to-head with his math geek math teacher at chess, and win. What I did not know, until yesterday, is that he is also a budding poet. He has an assignment in his Language Arts class to create a book of his favorite poems. He can include stuff from famous poets, stuff he’s read in class, and even people he knows or his own poems. So he decided yesterday to write a poem of his own. And he sat down, and did this, in almost no time. Perhaps he has a future as a greeting card writer? Maybe…. when he’s done writing mathematical theorems or starring in this one-man off-off-Broadway show. With flowers, bees, all sorts of things! Oh, springtime! So wonderful and fair. Is just relaxing by the pool. It’s summertime! With plenty of heat to share. Oh, I forgot! Nothing rhymes with orange! It is fall! And people celebrate everywhere. That it is Christmas, with the ground covered in snow. A new year is coming, with a new hope and a new prayer. Here is my yarn haul from this year’s Maryland Sheep and Wool Festival! 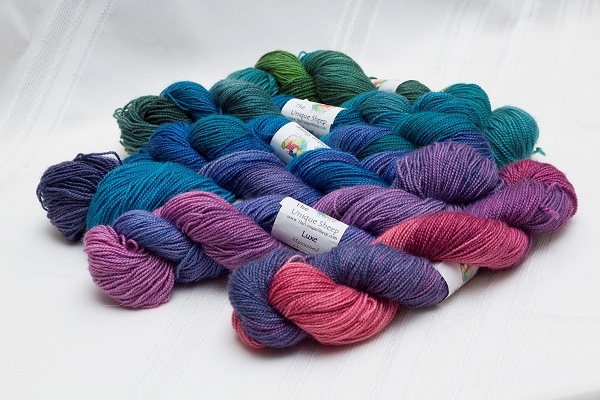 I didn’t go in wanting anything in particular, but in the end it seems color and gradient yarns won the day. My photos aren’t the best this go-round, but hopefully good enough to get the idea. 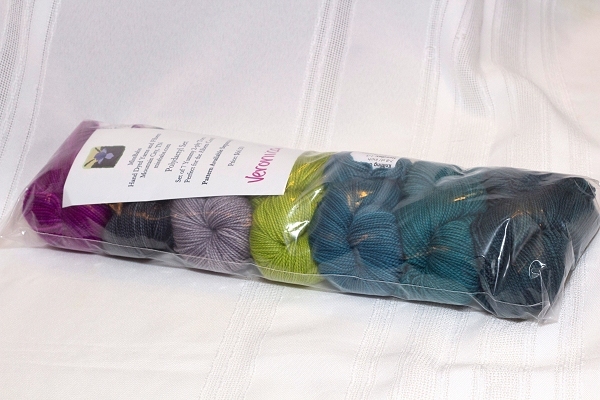 I was afraid to take the yarns out of the packaging for fear that they’d never get back in! This is a Polydactyl Set to use for the Pterodactyl Polydactyl Scarf, but they told me it’s also enough yarn to make an Albers Cowl, which I have been drooling over for quite some time. 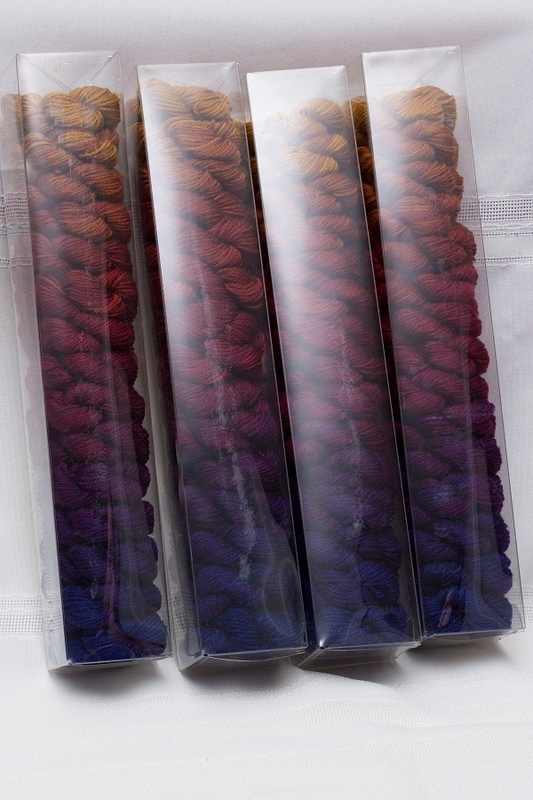 Unfortunately I can’t remember the name of the vendor who was selling these but I have been drooling over these yarn sets for a very long time. You can probably see why in the photo; the colors are simply astounding! No, I don’t have any idea what this one will be yet. I’m waiting for the Yarn Gods to speak. This is the Evenstar Shawl pattern by Susan Pandorf. I’m not a Lord of the Rings fan but she says it is inspired by that. I guess that means that if I ever get this one done, I could equally wear it to knitting events and nerd conventions! Haha. (The last one I attended a couple of weeks ago was crawling with Jayne Hats. I’ve got one of those on the needles, too.) So, I don’t know what I was thinking because this shawl is HUGE and will probably mock me for the rest of my days. But the yarn is so pretty I could not resist. I have never used this join, but it certainly looks very easy, and I’m going to try it! What say you, knitters? Does this join really work, and does it hold up over time? I’m guessing I would otherwise do a Russian join but the Magic Knot seems so much less fussy! Sigh… at the rate I’m going with my current project, I may never get to find out, one way or the other. It’ll be a while yet before I can move on to anything new. That’s ok, for now my new yarns can be my pets, and I will show them off at knit group and dream about what someday they will become. In the meantime, I’ve still got lots of other knitting to do, and a deadline fast approaching! Goodnight for now; once again, I’ve managed to go past the Pumpkin Hour. Tomorrow is a long day, with a full day of work, long meetings, and then tomorrow night Boyzilla is performing in his school’s Spring Musical. He’s in High School Musical, Jr. as “Skater Dude #2,” or something like that, which means he’s in the chorus. I can’t wait to see this! Look for pics of that in this space, soon! I feel like I had the best day, EVER. I know I say that nearly every year about the Maryland Sheep and Wool Festival, but this year, I think I mean it. My good friend Nancy joined us for the fun (she was a newbie!) so I had the fun of showing her around and watching her light up as she encountered some of her favorite yarn vendors in person. I tried something new for lunch (artichoke hearts sauteed in garlic) and engaged in quite a bit of fiber-related retail therapy myself. Last week I posted on Facebook that I managed to snap one of the umbrella canes on my beautiful cherry wood floor swift by Strauch Fiber Equipment Company. I contacted Otto, and asked if I could bring my swift to him for repair, fully expecting that he would take it home and fix it sometime in the future. Not only did he fix it for me AT the festival, but he fixed for me for FREE. I can’t believe he did that, considering that I’m the one who broke the thing! Thanks, Otto! I really appreciate you! The best part of today’s show for me, though, was seeing a lot of people I know, and being among the kindred spirits in the knitting and fiber community. It was a beautiful day, the pace was relaxing because it was Sunday instead of Saturday, and I got to see and meet a lot of people. Below is my gallery of photos! If you click the photos, you’ll see detailed captions. This year, my good friend Nancy joined us for Festival fun. It was her first time there, but she had NO trouble adapting to her new, yarny environs! Maggie’s Music, via the talents of Maggie Sansone, always delights the crowd. I got to meet SlytherBun!! Of course, her Amazing Mommy Kimberly was there, too! This is me with my (first cousin, once removed?) cousin Sherry, whom I have not seen in probably 40 years. We recently connected on Facebook, and finally met in person at the festival today! And yarn? Boy, oh boy, is there ever a lot of yarn to pet! 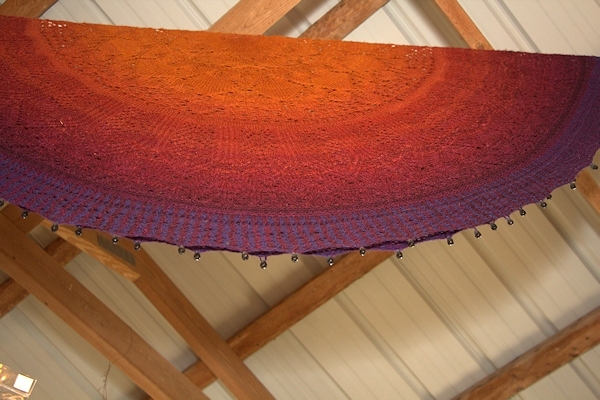 I bought some gradient yarn from Fiber Optik to make a shawl just like this one. This is me, with Kitty and Sally of Knit Companion. Wow! It was great to meet them. That app has made such a difference to me with my knitting, and I am SO GLAD that there are such wonderful, helpful people behind it! It was so nice to be able to thank them in person. More about my purchases in another post, but I am sure you will notice a sort of a theme to my shopping this year when you see it. I didn’t have any particular shopping goals in mind, but the yarn fates were at work and guided me very specifically this year. You’ll see… soon. For now, I’ve got to get to bed, else this tired wheelchair battery will be of no more use to me than a pumpkin at midnight. Thanks to my wonderful husband for helping to make this such a special day! I love you! 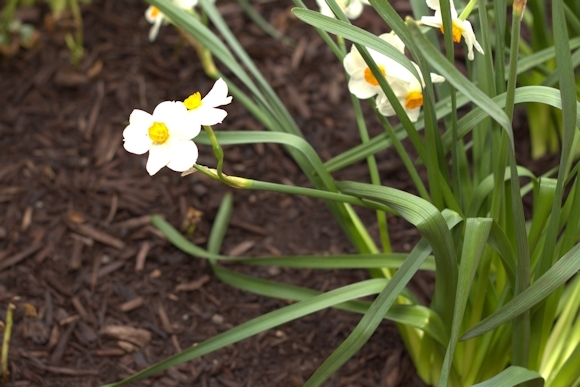 This first photo is how the flower looked as it came out of my camera. It is easy to see that the white areas are over-exposed, and “blown out.” So, I hadn’t posted the photo anywhere, because I wasn’t happy with it. I own a copy of Corel’s product, After Shot Pro, which is I guess supposed to be their answer to Adobe Bridge for processing of Camera Raw files. 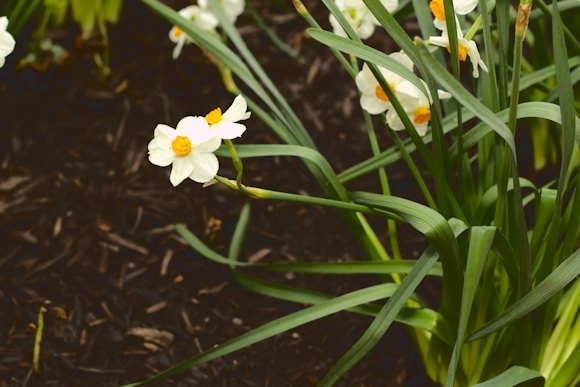 But, while focusing on the white areas of the flower only, and trying to get the detail to pop out, I just couldn’t do it, no matter what I tried. And I ended up with a sort of dark, ugly result. Anything else, and I was right back to the blown out white flower. I give up, Adobe. You win. I still hate you, but you win. Poop.